Whether it’s a Birthday, Anniversary or any other family/group event or special occasion, Hill Country Shuttle Service can get you there in both style and comfort. We cater to both small and large groups. When on-board, you are our number one priority! Book Now! 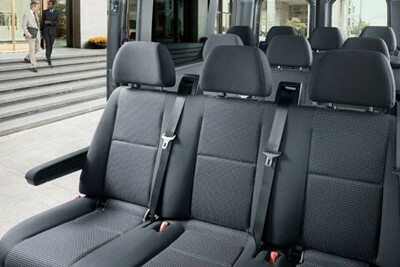 Our Sprinter Euro-Buses are equipped to seat up to 14 passengers and provides up to 31 square feet of luggage space. Each vehicle is equipped with 1/8 port for Pandora/Smart device hook up, LED interior lighting, and Complimentary Water Bottles. Book Now!